The Salt Water Flush Didn't Work (What Can I Do)? This process, along with the herbal laxative detox tea, is probably the most confusing, most alarming, most questioned part of the master cleanse, apart from the fact you don't eat anything except the lemonade. The strong reactions come from the strong associations we have with words like “salt” and “laxative” and so worry about safety is present just beneath the surface of each question, and rightfully so (even though misplaced). You can't over do it. Less is more in this case. It's hard to know exactly what will work. Where did you start from? Always start at the base of 2 teaspoons of sea salt. One common mistake here is to use 2 tablespoons, easily enough confused by the 2 tablespoon measure of both the fresh lemon juice and the maple syrup. I used to make that mistake all the time, and even published it as such, because 2 tablespoons worked for me, which is why I know, the ration can vary greatly with success rates. As covered in another faq regarding the type of salt to use in the salt water cleanse we made it clear that you must only use sea salt, and non-iodized sea salt. Iodized sea salt will not work. Did you know that our salive is 99% saline? Did you know that we evolved from the sea (maybe, probably) [this is long before our early primate phase], and that the similarities between human blood and sea water prove (arguably), that we came from the sea (where all life probably did). If fact this is why the sea salt water flush works, because the solution is so much like our blood (specifically what's called the specific gravity), that our digestive system won't process the liquid like food. We're built to avoid the salt, and osmosis and diffusion go to work for us to pass out this usually dangerous drink as to prevent any harm to our cells. Often times it can be hard to get the whole 1 liter of lovely saltiness down your throat without sending it back up like a whale's blow hole. It's a challenge I know. You do tend to get used to it, and there are several tricks to make the salt water flush easier that you should definitely check out because if you don't manage to get it down in 1 short time span, you won't get the flushiness you need. Sipping here and there from the edge of your teaspoon won't cut it. It may taste brothy but it's a FLUSH, not a can of Campbell's salty finest. You have to chug it to flush it (as the saying goes –I know that's not a saying). If you're doing all else right, as many have proclaimed in frustration “flush not working” you might just consider that god simply doesn't like you. That's god with a lowercase g, cause I am sure God loves you. But this god, the god that decides why the salt water flush doesn't work for you has chosen to curse you with one more challenge in life today. But know this to overcome even that seemingly insurmountable obstacle. 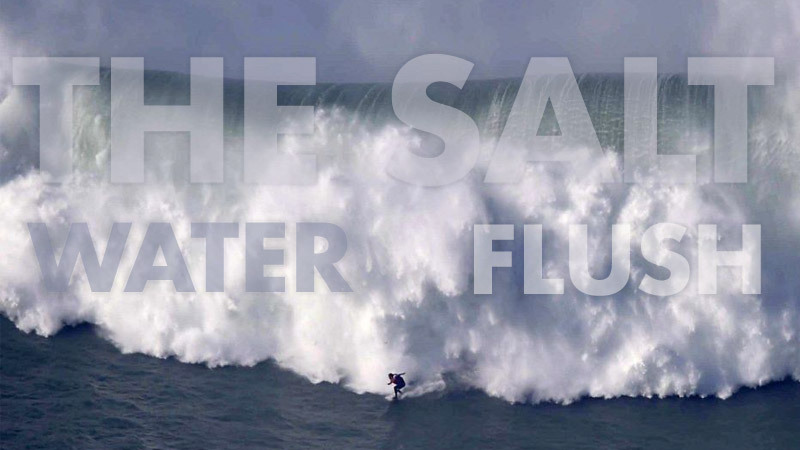 The Salt Water Flush is optional. 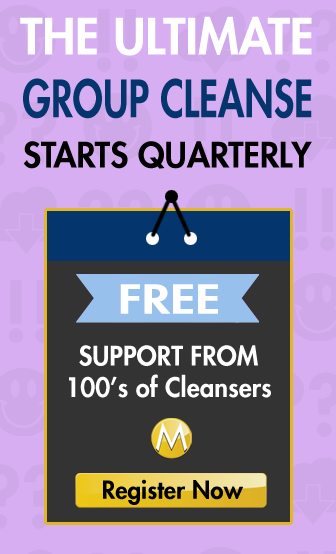 It's great, and if you can get it to work you should try to get a couple in for each 10 day master cleanse, but you can simply use the herbal laxative detox tea. As long as your having a bowel movement and eliminating toxins that the lemon cleanser and the rest of your “every body detox” is stirring up each day. What did you do to make the salt water flush work? I do one tablespoon in 4 cups of warm water and it works every time. I’ve salt flushed at least 30 times in my life. I had read other places to do 2tblsp to 1qt water. I went once and not a whole lot. I had been fasting since 8p.m the night before and started at 10a.m. I fasted 20 hrs before realizing it wasn’t gonna work. People forget that the salt bath flush is optional AND that everyone’s body is a little different. Some days everything works smoothly and others, not. Don’t let perfectionism get in the way. If the salt bath doesn’t work, just drink a 3 min brew of Traditional Medicinals Smooth Move tea. Not too harsh and it will keep things moving….smoothly. Sorry, couldn’t resist. I did the exact recipe at 13.30 on an empty stomach, laid massaged stomach for 30 mins. It’s now 20.53 and still nothing? I only did 1/2 teaspoon per little as per a blog I read…!!! Have drank 2 litres done 9 rounds of the exercise anid nothing. Just feel very full! Disappointed. Perhaps I should have prepped before with what I ate last night?! More salt in the water?! Who knows!